As with the CCC or CEL certification for Chinese market there are also specific regulations and compulsory product certifications for Taiwan. Certification for the automotive sector will be implemented by the Vehicle Safety Certification Center (VSCC). The task is to inspect and ensure the security of vehicles within the Taiwanese market. The establishment of the VSCC was initiated by the Ministry of Transportation and Communications on March 31st 2009, when the authorities officially recorded the service. The VSCC headquarters is located in the Taiwanese city of Lugang. The VSCC is responsible for vehicle registration and safety inspections, as well as the certification of individually regulated components. The main features of the CCC Certification process and Taiwan Certification process are similar, however there are important differences. Foreign applicants must have proof of a local representative office, branch or subsidiary in Taiwan in order to apply for the approval of components for the Taiwanese market. Local representation is quoted by the application through certification. This rule does not apply to the application of a CCC Certification. A number of documents must be completed for the application process. Should these be accepted, specific tests in accordance with Taiwanese Standards, the “Vehicle Safety Testing Directions” will be implemented and take place directly at the VSCC. They are comparable to Chinese GB Standards (GB stands for Guobiao, Chinese for National Standard) which define the scope, parameters and prescriptive limits for product testing required for the CCC certification. Although the Taiwan standards are based on ECE regulations, Taiwan requires their own VSCC testing and ECE test reports will not be accepted. In contrast to the CCC Certification, no factory inspections will take place. Numerous auditors are employed by the VSCC, however vehicle and safety inspections are performed only in Taiwan, and not abroad. 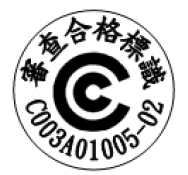 A factory audit is required for a CCC Certificate, but not for the Taiwan Certification. In comparison to the CCC Certification, this results in significantly less time and, in particular, expenditure, for the applicant. Some components that have passed the tests and have been approved for the Taiwanese market may be labelled accordingly. Within the regulations, this marking is simply referred to as “Certification Approval Label”. There are special requirements for marking that have to be observed carefully, e.g. diameter, height. If a part is marked incorrectly, there is a good chance that the goods will be detained at customs. If a product needs to be marked should be discussed with the Taiwanese authorities in every single case. Are you interested in the certification of products and automobile components for the Taiwanese market? Then do not hesitate to contact us. Of course, we are able to answer any general questions you may have regarding the Taiwan Certificate. Send us an email or call us and we will be pleased to assist you.